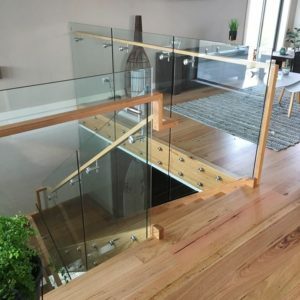 Balustrade consists of 12mm clear toughened glass on stainless patch fittings with a 50x30mm timber handrail on stainless brackets to inside of glass 100mm down from top. 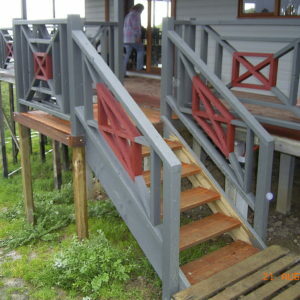 Basic balustrade between existing posts and external front entry stair. 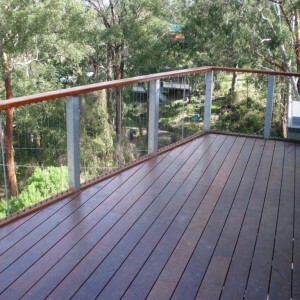 Balustrade consists of treated Pine 42x42mm balusters, 80x63mm traditional-style handrail. 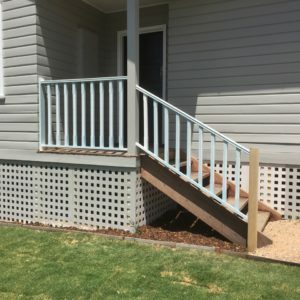 Includes 1/2 post to house wall. 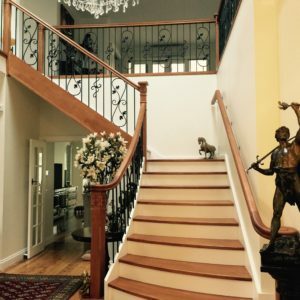 Balustrade consists of 90x90mm bevelled posts with rosettes, caps and moulding, traditional style handrail with scroll ends, all in Vic Ash with pine stringers and risers and wrought iron balustrade. 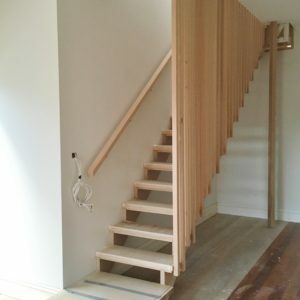 Stair is a closed full stringer style, curved open side. 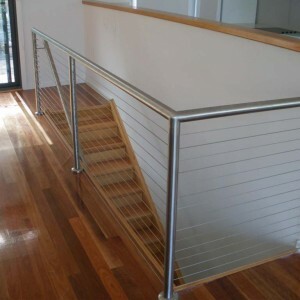 Treated pine balustrade panels installed in-between existing posts. 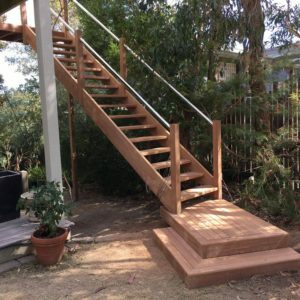 Traditional style continuous handrail in Vic Ash. 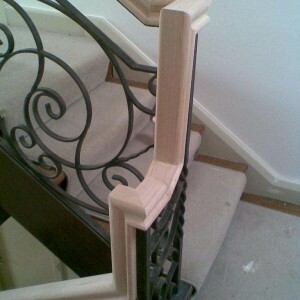 Wrought iron balustrade by other. 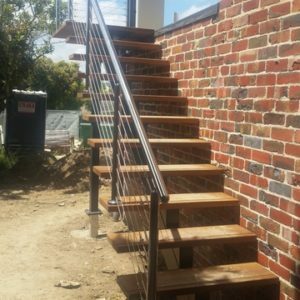 50mm round (brushed) stainless handrails and posts with stainless wire infill. Horizontal stainless wire to bottom story and vertical stainless wire to top story.